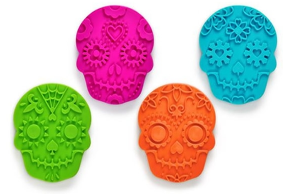 Mexican Sugar Skull traditional folk art from Central and Southern Mexico. Day of the Dead Bread - a tasty sweet bread that kids love, especially with hot cocoa. Day of the Dead Books - colorful information about the festival. Dead Fun Home Page - more about death and life. this is where you started.